Mixing two favorites, pumpkin pie and chewy oatmeal cookies. Yum! Preheat oven to 400°. In large bowl, stir together sugar, brown sugar, flour, oats, cinnamon, cloves, ginger, and salt. Cut butter into dry mixture, until crumbly. In small bowl, whisk egg. Add egg to oat mixture and stir just until comes together, but still a bit crumbly. Measure out 1/2 cup of crust mixture, set aside. Press remaining crust mixture into a well sprayed 9″ deep dish, 9½”, or 10″ pie plate, covering bottom and up sides. Lay foil inside with pie weights, rice or beans to keep the pie shell shape during baking. Bake 12 minutes. While shell is baking, mix filling. In large bowl, whisk together pumpkin, sweetened condensed milk, eggs, cinnamon, ginger, cloves, and salt. Remove pie shell from oven and with hot pad, press down on weights (rice or beans) to help reshape the shell if shape has changed a little during baking. Let crust sit 5 minutes. Gently remove foil with weights from inside of oatmeal shell. Pour pumpkin filling mixture into shell. Return to oven and bake 15 minutes at 400°. Reduce heat to 350° and bake 15 minutes. 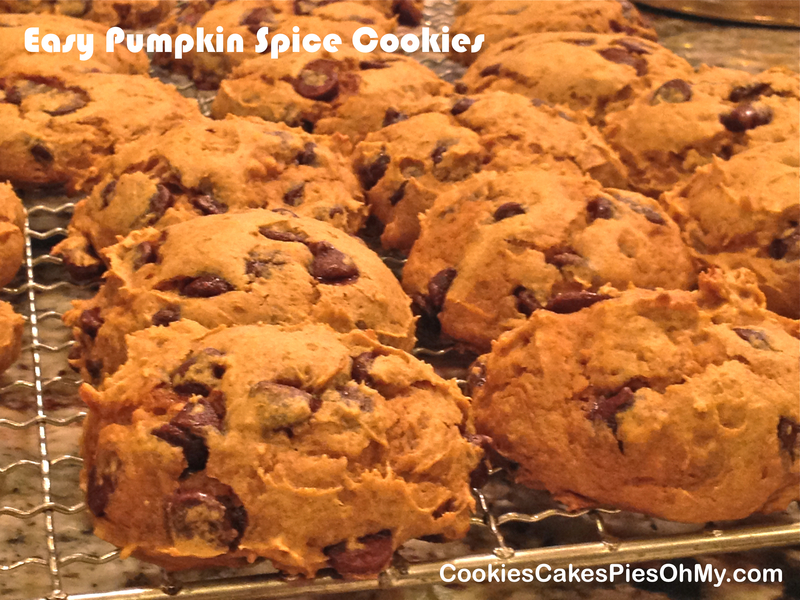 Remove pie from oven, evenly sprinkle reserved oatmeal cookie mixture over top of pumpkin filling. Return to oven for 15 more minutes. Watch pie during baking, at some point you will need to cover edge with pie shell ring or ring of foil to prevent from getting too brown. Cool completely for filling to set up and slice cleanly. 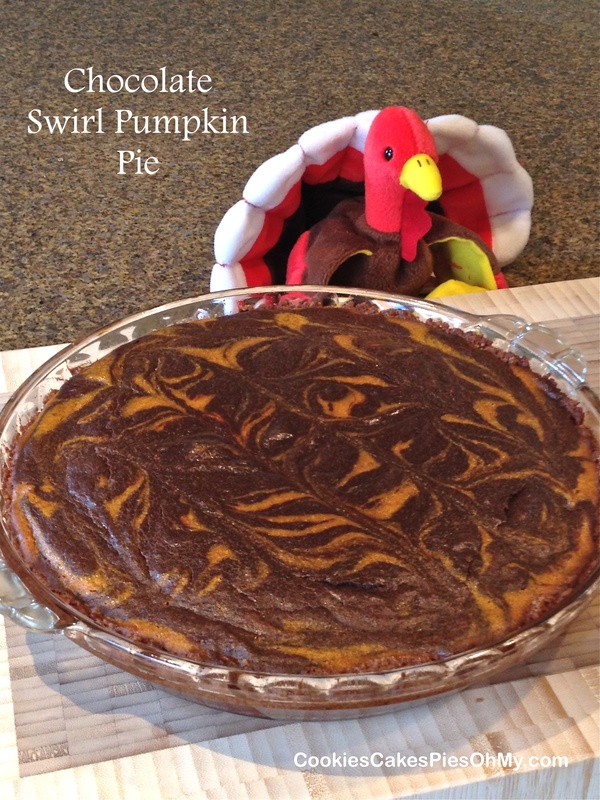 Serve with sweetened whipped cream. Here are some ideas for baking up something scary good for Halloween! One of my favorite treats in the whole wide world! I am a dark chocolate fan, I will choose dark chocolate everyday over milk chocolate. But, there is something about the creamy, smooth subtlety of milk chocolate with pumpkin that works so well. Don’t get me wrong, I would totally jump in and eat my share if this recipe were made with semi-sweet or dark chocolate. I am always willing and ready to do my part! Happy October! Preheat oven to 350°. Line 9″x13″ baking pan with foil, leaving overhang on each end. Spray with non-stick spray. In large bowl with electric mixer, cream butter, applesauce, oil, and sugar. Add egg, vanilla, and pumpkin; mix well. Add Flour, baking soda, salt, cinnamon, allspice, nutmeg, and cloves; mix just until combined. Stir in milk chocolate chips, reserving 1/2 cup. Spread batter evenly in prepared pan. Sprinkle reserved milk chocolate chips evenly over top of batter, gently press down a bit. Bake 30 minutes. Cool completely. 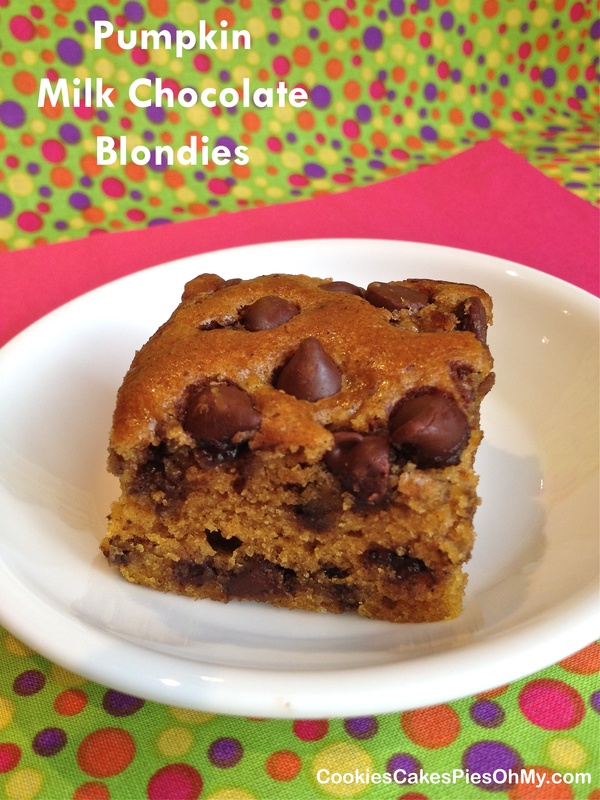 Lift blondies out of pan using foil to grab onto as handles. 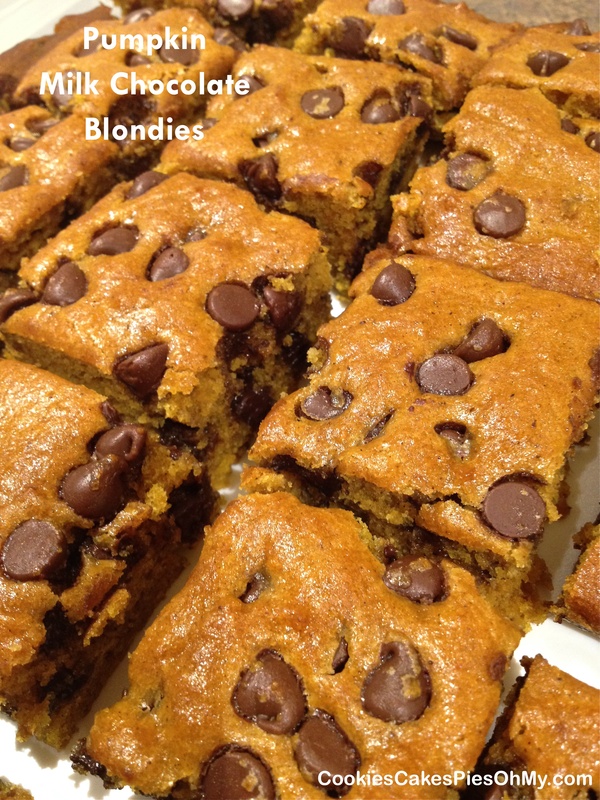 Place on cutting board, peel foil away from blondies and cut into 24 squares. Using applesauce instead of all butter reduces the calories per blondie from 225 to 190, so have another! 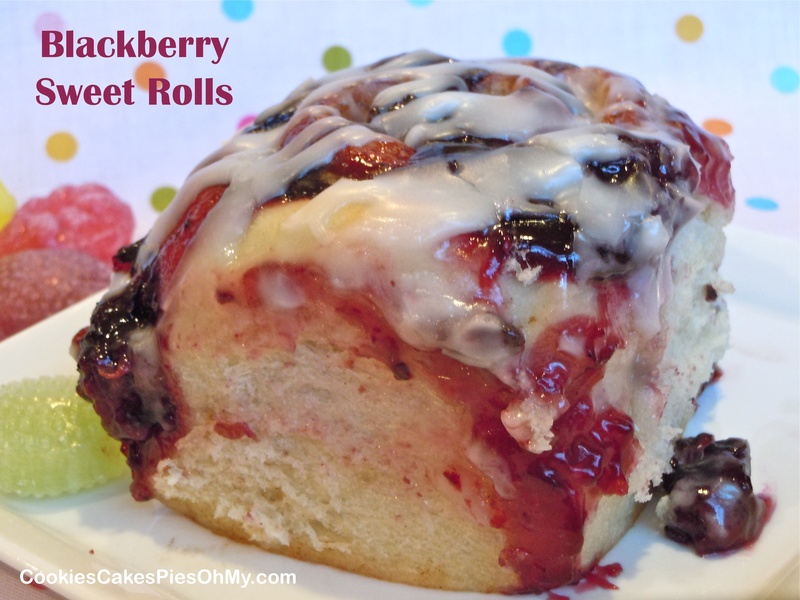 When planning a family breakfast, is there any question that there should be homemade sweet rolls on the menu? To me it is one of the most wonderful comfort food there is, hot from the oven with a heavenly aroma hanging in the air. Here are some ideas for Easter breakfast or any morning. If you’re not an early riser to start the recipe in the morning (how many of us are?) make them the night before up to the step where you put the rolls in the pan. Cover tightly with plastic wrap and put in the refrigerator. Take the rolls out in the morning, remove plastic wrap, cover with a towel and let sit for 1-1½ hours then bake as directed. Happy Family Breakfast Time to All! Happy Easter! I wish you all a Happy New Year filled with joy, happiness, and success in all you do. As we close this delicious year and head into another delicious year, I leave you with a recap of the top 12 most viewed posts of 2013, thanks for stopping by…CHEERS! Preheat oven to 375°. Stir together Ritz cracker crumbs, sugar, and cocoa. Stir in melted butter. Press into bottom and up sides of a 9″ deep dish pie plate. Bake for 6-7 minutes. Set on cooling rack. Turn oven down to 350°. Melt chocolate slowly in microwave, set aside to cool. Whisk eggs, sugar, cornstarch, cinnamon, cloves, and salt. Whisk in pumpkin and cream. Scoop 1 cup of pumpkin filling and mix into melted chocolate. Pour the pumpkin filling into the crust, then drop chocolate/pumpkin mixture by scoopfuls gently onto pumpkin filling. 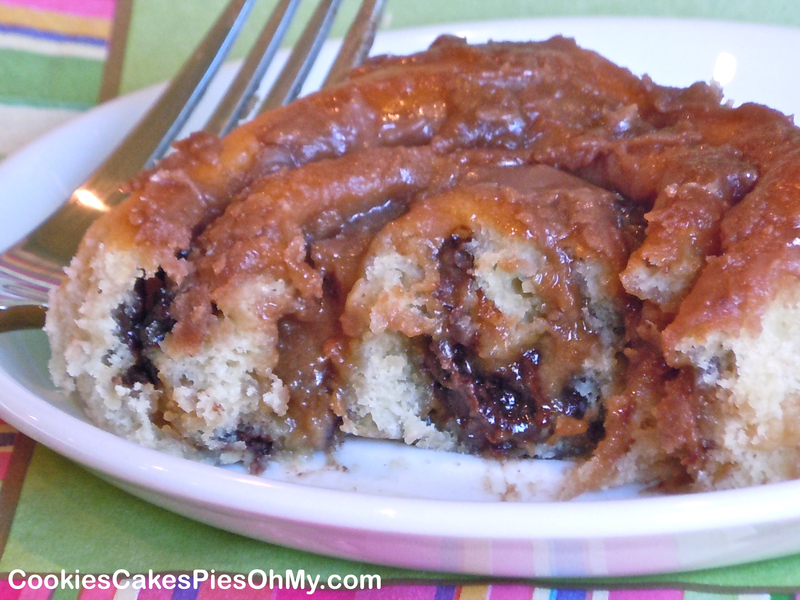 With butter knife, swirl the chocolate mixture to create desired affect. Bake about 45 minutes, until pumpkin custard is set. Original filling recipe found at cooking.com. 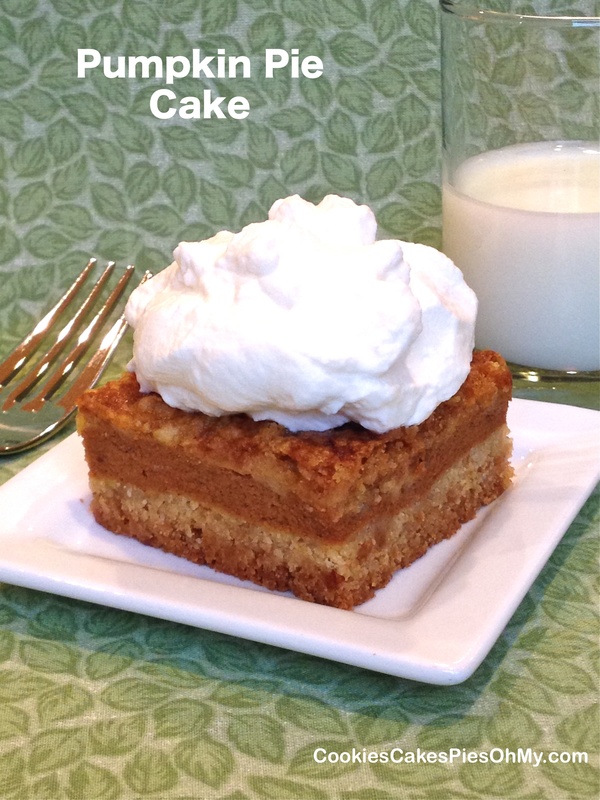 What if someone doesn’t like Pumpkin Pie, what do you make for Thanksgiving dessert? Pumpkin Cupcakes with Chocolate Buttercream of course. What if everyone likes Pumpkin Pie? 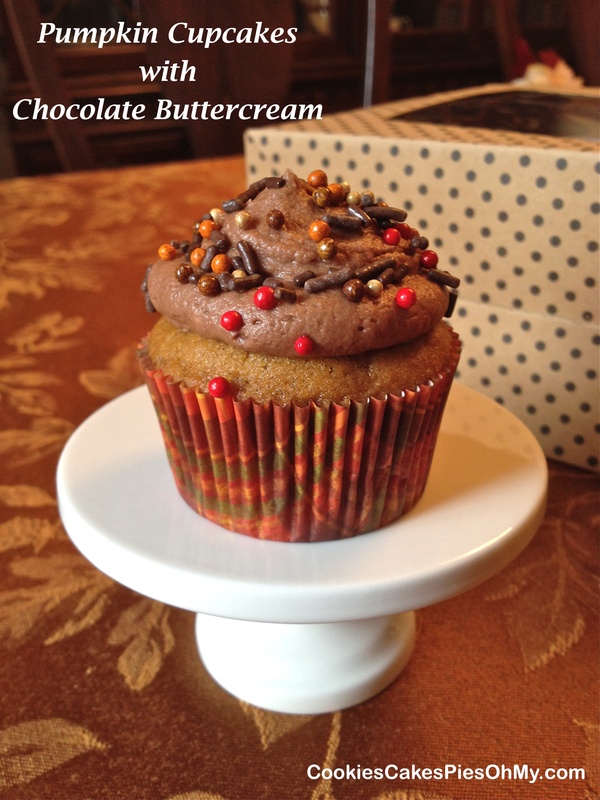 Serve Pumpkin Pie AND Pumpkin Cupcakes with Chocolate Buttercream! Preheat oven to 350°. 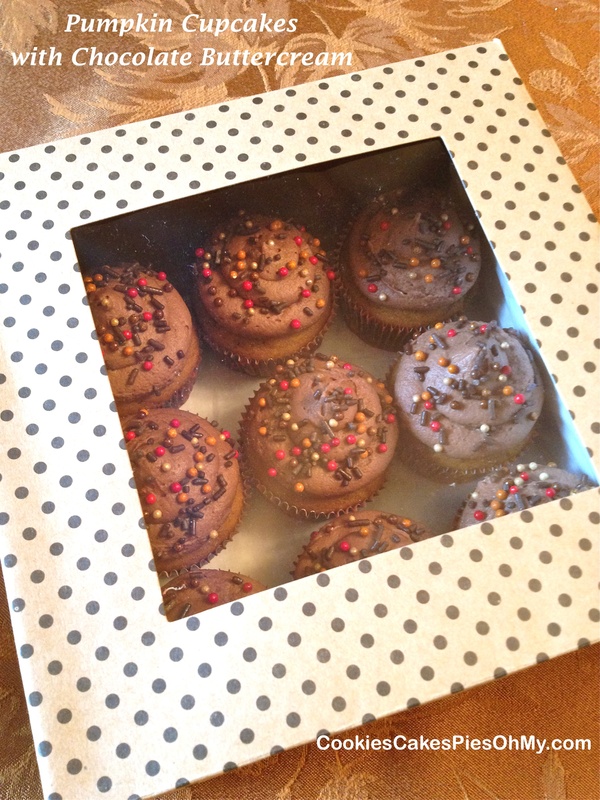 Line cupcake cups with cupcake liners (makes 24). Beat together pumpkin, oil, eggs, sugar, and brown sugar. Stir in flour, baking soda, baking powder, cinnamon, allspice, and salt until evenly mixed. Scoop batter into prepared cupcake cups. Bake 18-20 minutes or until top center is set. Cool completely before frosting. Whip butter with electric mixer for about 5 minutes until light in color. Add powdered sugar, cocoa, and milk until perfect piping consistency. Pipe onto completely cooled cupcakes, add sprinkles. You know me, if I have a little something sitting in my fridge or pantry the wheels start turning. Things don’t always turn out for the best, but you have to keep experimenting. I declare this a taste delight! 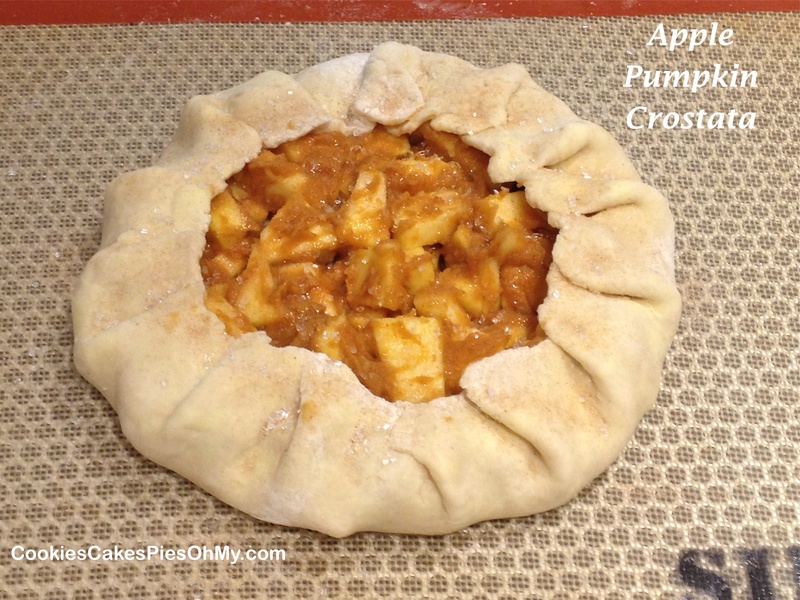 This recipe comes from a little bit of pumpkin sitting in my fridge, add pastry and apple, and cross your fingers! It worked! So you say, Kristen, I don’t have just a quarter cup of pumpkin in my fridge, I would have to open a whole can. 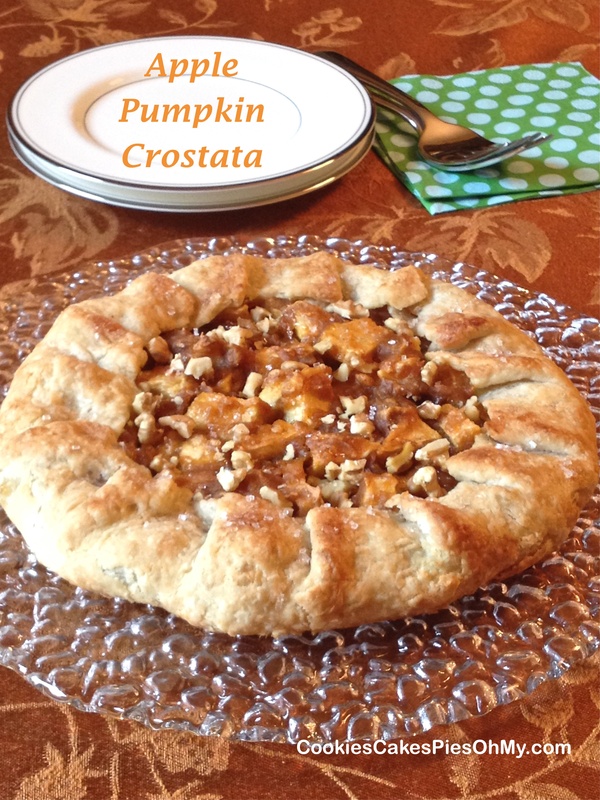 Well, here are some ideas to use up the rest of that pumpkin, click here: For the Love of Pumpkin. Stir together flour, sugar, and salt. Cut in butter until crumbly. Stir in one tablespoon of water at a time with a fork until dough just barely comes together. Make into a disk (handling as little as possible), wrap in plastic, and refrigerate for at least 20 minutes. Preheat oven to 450°. Stir together pumpkin, sugar, flour, cinnamon, and allspice. Fold in apple. Roll out pastry on floured surface to an 11″ diameter circle. Transfer to silpat or parchment lined baking sheet. 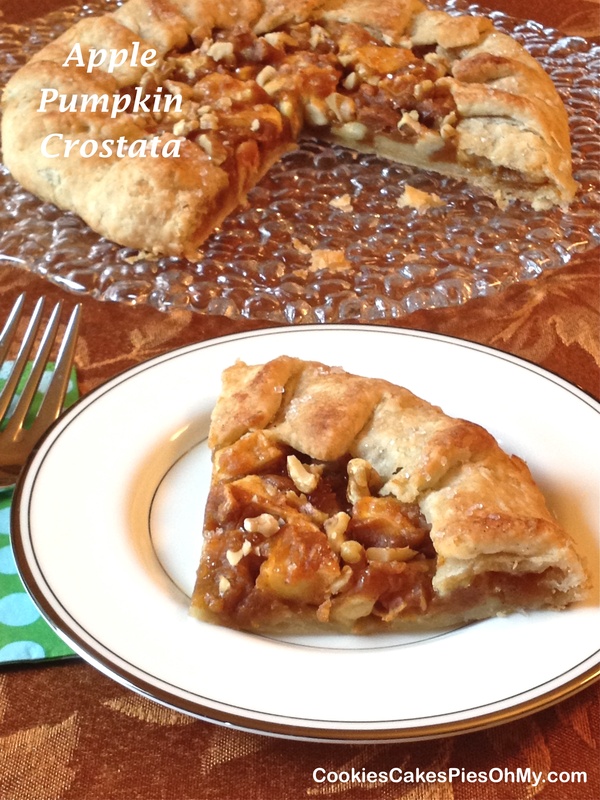 Gently spread filling in center of pastry leaving 1½”-2″ border around outside. Fold border up over filling pleating and pinching pleats gently together as you go around the circle. Sprinkle with chopped walnuts, cinnamon/sugar, and sparkling sugar if desired. Bake at 450° for 10 minutes, turn down oven to 400° and continue baking for 10-15 minutes more. Remove when golden brown and apples are tender. If you are interested in Demarle bakeware and kitchen tools such as the Roul’Pat & Beechwood Rolling Pin or Silpat & Perforated Baking Sheet please visit mydemarleathome.com/kristenparker or simply click on the Demarle at Home logo below.